Premise: One man attempts to impress a group of thirty single women in three rounds (a.k.a. “The Flirty Thirty”) and ultimately tries to win a date with one of the single women. Round by round, the ladies will decide whether they are interested in dating him or not by keeping their light on for “yes” or switching it off for “no”. In the first round, the ladies’ judgment will be solely based off of looks and how the man presents themselves for the first time. In the second round, their judgment will be based off of the man’s short video about their life. In the third round, their judgment will be based off of the man’s special talent or skill displayed to the women to persuade their decision. If all thirty women have turned off their lights, this is referred to as a “blackout” and the man must leave the show alone. If there are any lights lit after the third round, the bachelor will have to eliminate all but two women. The man will ask the two remaining women one final question and make his final choice of whom he wants to date. Each couple will win a dream date trip to the “Take Me Out Resort”. On the following show, a recap video will be shown of the couples from the previous show at the Take Me Out Resort to discover whether or not they have made a “love connection”. Over the past few years, we have seen the U.S. adaptations of numerous international game shows. We have seen shows that have been successful like Who Wants to be a Millionaire, and shows that were complete duds such as Who’s Still Standing?. 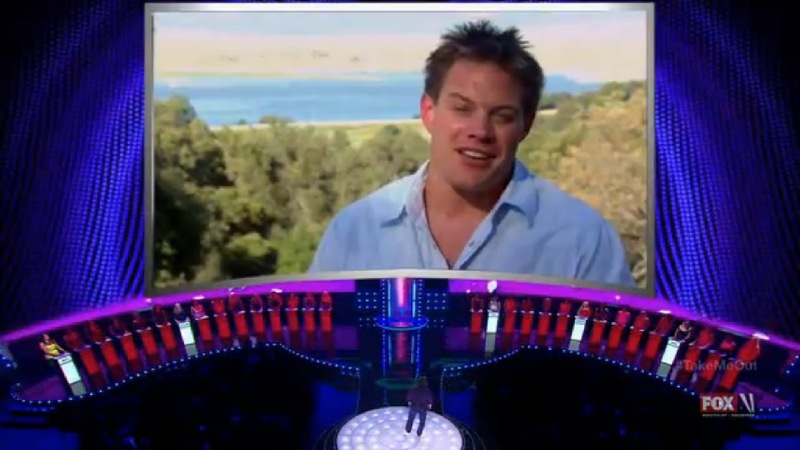 The U.S. version of Take Me Out is a great example how to properly recreate an international game show without the addition of outrageous gimmicks and stupid stunts. FOX did an excellent job with the assembly of the new dating game show. This show is well-executed and well-produced, while maintaining the show’s original U.K. format. Take Me Out is an excellent combination of The Dating Game, Bzzz!, Love Connection, and The Gong Show. The overall pace of the show is great, in terms of how show is divided into four games, instead of one game being dragged out unnecessarily for the entire show. I also like how show combines multiple aspects of how women determine whether they are interested in a man or not by separating them into progressing rounds and how the show leaves the viewers waiting for the next episode to see what and how the winning couples did during their “dream date” vacation. George Lopez is doing a good job of hosting this show. He keeps the show going at a consistent pace and he keeps the viewers and contestants entertained through each game with his humor and his corny, yet somewhat amusing one-liners when he is introducing the single male contestants. Overall, I am very impressed by FOX with the creation of Take Me Out, given their track record of duds such as The Chamber, Big Deal, and The Moment of Truth. From the walk-off songs to the shows main catch phrase “If you’re not turned on, turn off”, this show is full of surprises and in interesting contestants who are likeable and not annoying nor obnoxious. I hope to see more of this show in the future on FOX’s summer schedule. Watch new episodes of Take Me Out every Thursday night at 8:00pm on FOX!